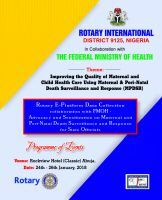 24.-26.01.2018 FMoH Training on MPDSR/OQA in Abuja In collaboration with the FMoH, Rotary's Action Group RFPD conducted an advocacy and sensitization training on Maternal and Perinatale Death Surveillance and Response for more than 20 State officials in Abuja. 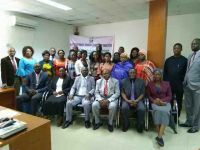 16.01.2018 Recent trends in Maternal Mortality NOQA-Network News: Recent trends in Maternal Mortality in the Project Region. 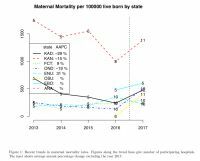 An analysis of recent patterns in maternal mortality.